Managing Expectations - Piedmont Physical Medicine & Rehabilitation, P.A. One of the best ways to make sure you are satisfied with the care you receive, its results, or living with a medical condition, is to manage expectations. Remember that just because most chronic illnesses are rarely cured that does not mean you have to sacrifice quality of life. Sometimes by hoping for something that is achievable, and then giving yourself the chance to be happy when it does occur, you can be much happier then if you were let down due to unrealistic expectations to begin with. 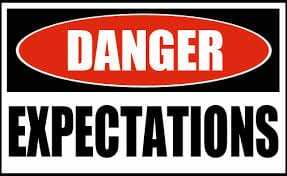 Visit the Education tab of Piedmontpmr.com for several self help tools for managing expectations.